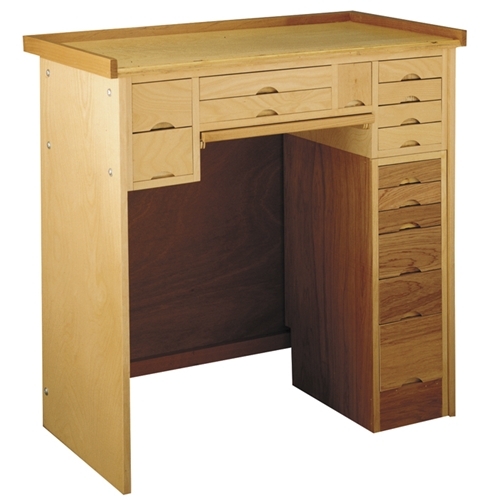 A classic workbench perfect for watchmakers, jewelers and engravers. Constructed of the finest hardwood, making it perfectly suitable for storefront use. Please note this item is a non-stock, special order. Please allow extra time for delivery.